Everything Charlie does ends in trouble. "Nobody in this house loves me," she mutters. So she and Panda decide to run away. A heartwarming story of love and forgiveness. 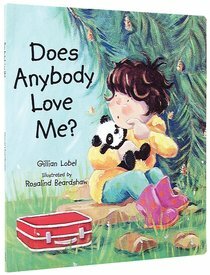 About "Does Anybody Love Me?" A heart-warming tale of love and forgiveness Little Charlie loves make-believe games, but everything she does ends in trouble. Nobody in this house loves me, she mutters. So she and Panda decide to run away to the end of the garden...Several adventures and a thunderstorm later, Grandfather arrives and Charlie finds her greatest adventure is to rescue him and take him home...where she is welcomed with love and not a bit of crossness. This story captures a child's world and sensitively addresses those feelings of rejection and sadness which children can experience when they get in trouble. Forgiveness and unconditional love are offered as the antidote to these gloomy feelings and lead to a very happy conclusion to the book.